EHPEA’s training team was established in 2007. The mission of the training department is to provide high quality, relevant and practical training to help horticulture farms meet production targets and relevant legal and market label requirements for Good Agriculture Practices. Protection of the Environment and the Employment and Welfare of all the farm employees, and facilitate the development performance by the provision of relevant training. Safe handling of pesticides,Occupational Health and Safety and Protection of Environment and Good Agricultural Practice, among others. Training is designed to meet industry needs and provided for farm workers, supervisors, and management team members. The training is practical and participatory and is delivered on the farm site or in the cluster. After completion of training, trainees are assessed depending on the training type, and assessment can be oral or written, and a follow-up field visits are made to farms to help trainees put their learning into practice. For all training, a certificate of participation will be issued. The training team also provides farm support materials to help farms within house training and development of farm documentation. The materials include posters, Risk assessment templates for Environment and Farm Safety, sample policy procedures, DVS’s for induction. 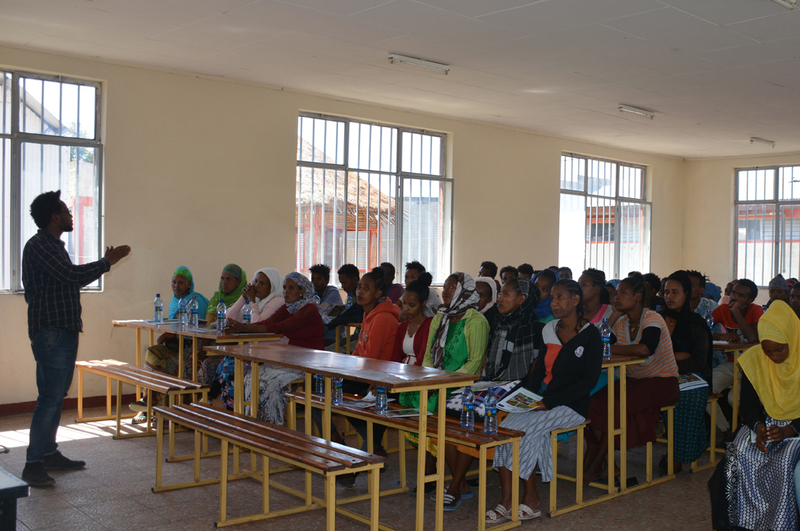 The training manuals are available in Amharic, Afan Oromo, and English languages.